PAT testing, or Portable Appliance Testing, is a specialised process of testing all portable, electrical appliances to ensure they are safe. PAT testing is imperative for businesses to fully comply with The Electricity at Work Regulations 1989, in addition to other health and safety regulations. More. Over time all electrical installations degrade because of their age and usage. These installations have to be inspected and tested at regular intervals to make sure they are in good working order. On job completion you will be issued with an EICR (Electrical Condition Report). More. 250RIO provides microwave leakage testing to complement our Portable Appliance Testing. Microwave leakage testing can be carried out at the same time as PAT testing or separately. More. Most items that fail can be fully repaired and retested whilst on site to ensure your business operation is not affected. In the event that any item cannot be repaired on site it will be clearly marked as failed and identified to you for removal from employees awaiting repair. 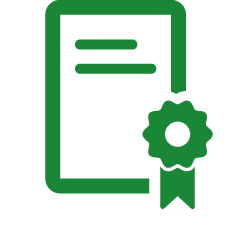 When testing has been completed you will be provided with a fully itemised statement of all appliances tested and certificate for PAT Testing is provided. All appliances tested are clearly labelled with a sticker identifying the Test date. Generally PAT testing is conducted annually. However, how often your appliances need testing can depend on the type of appliance. 250RIO recommends timescales in accordance with the guidelines set by the Health & Safety Executive (HSE) and The Institute of Engineering & Technology (IET). 250RIO provides a free evaluation service to identify the optimum testing frequency and suggested testing programme for all your portable appliances.